The Passion According to Carmela by Marcos Aguinis is a novel which takes place during the Cuban Revolution. Mr. Aguinis is a prize winning, internationally bestselling novelist. 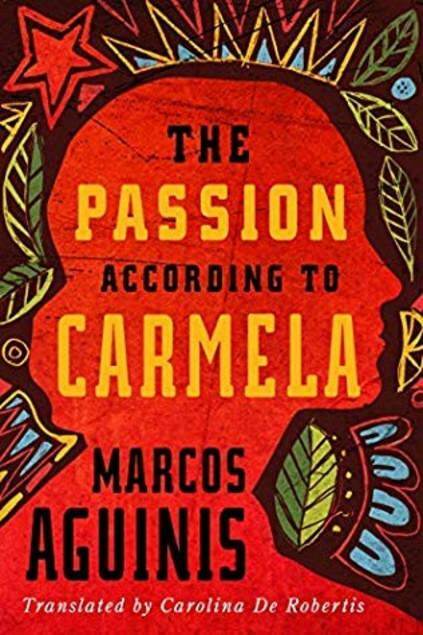 I really didn’t know what to expect from The Passion According to Carmela by Marcos Aguinis, I knew it was a celebrated novel and a bit out of the categories I enjoy, but wanted to give it a shot due to the fascinating premise. I don’t know much about the Cuban Revolution, a few bullet points I learned in school and a few more I picked up afterwards. I discovered that the fascinating parts of the story were actually after the revolution has ended, and the consequences have begun. The characters’ disillusionment from the utopia they envisioned, and were promised, slowly embed themselves in their reality until they realize that their vision will never be fulfilled. The revolution’s leaders have abandoned them, and maybe have never intended to keep the promise they sold to their followers. The translation is excellent, I have read books by Carolina De Robertis previously and enjoyed them very much. I hold the opinion that translation by itself is a form of art and very difficult, so kudos to her for a job well done. This is a tragic and complicated story, but it also weaves in a bit of history telling of how Fidel Castro came to power and the effects it hand on the country. The novel’s pace slows at time, but I found it to be a good read when all was said and done. Carmela Vasconcelos, an idealistic divorcee, gets caught up in the excitement of the Cuban Revolution. Carmella joins Lucas, her brother, as they run away from their wealthy parents to join Fidel Castro and his rebels. Carmella meets a charismatic Argentinean named Ignacio Deheza and ties her fortunes with him. As the couple navigates the dangerous post-war politics, they become disillusioned with the men who lead the country that seem to have abandoned the cause they shed blood for.